When doing validation for numbers or dates, the column selection is used. 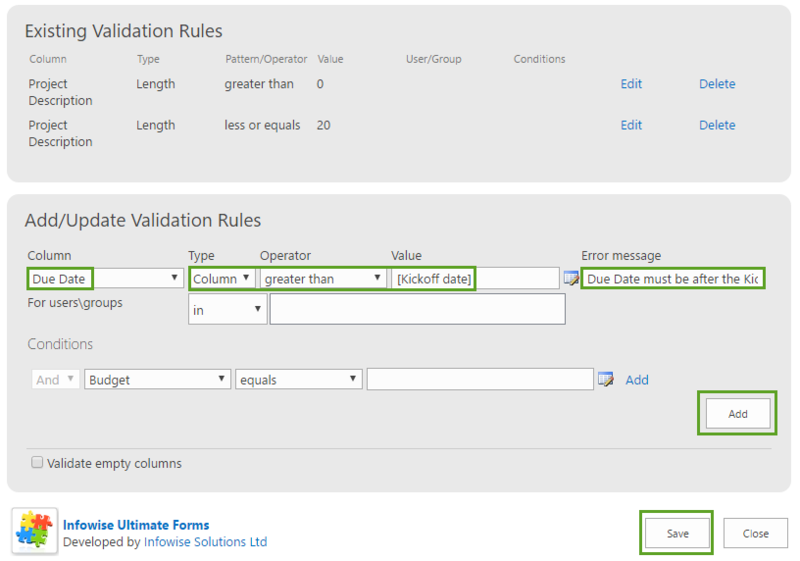 Use the column validation rule to check numeric values. You may compare values of other numeric fields including dates. 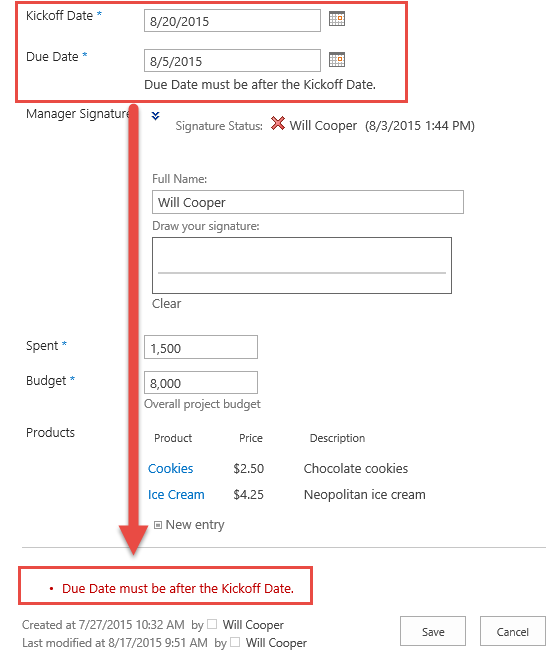 The Column validation setting is intended for fields with numeric values including dates. When doing validation it is useful to compare against other field values to set up compound conditions.